Looking for a special gift? 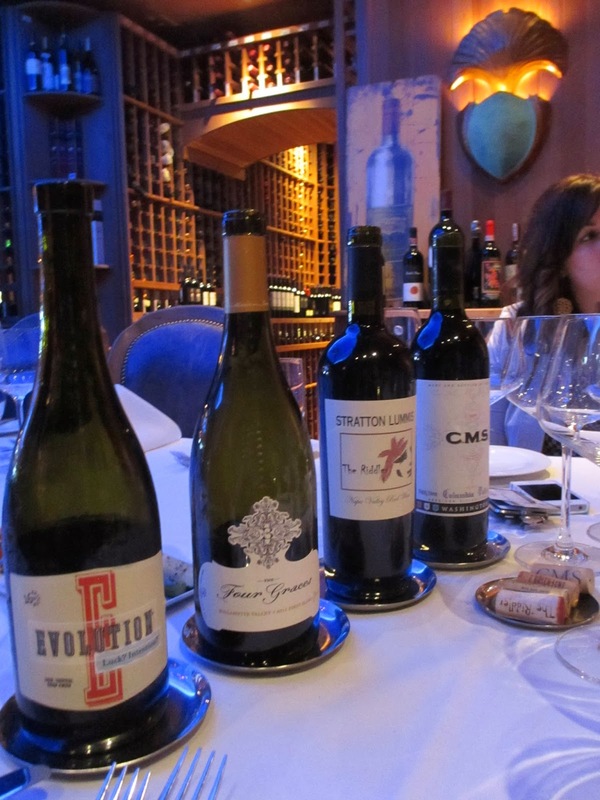 How about a dinner with wine at the Bistro Napa fine dining restaurant in the Atlantis Casino Resort Hotel in Reno. I’ve had the pleasure of dining in Bistro Napa a few times, and the experience of service is like a well-choreographed ballet. Christian O'Kuinghttons is the brilliant sommelier there. Following is some insight to his wine philosophy. Christian searches for wines that come from small producers of beautiful grapes. 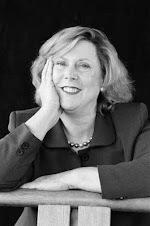 “I meet winemakers and walk their vineyards. The winery that produces between 150 and 300 cases is of most interest to me,” he said. We tasted four such wines. Evolution White, from Oregon, vintage 2011-2012. This is a blend of 9 different grapes: Pinot Grigio, White Riesling, Muscat, Gewurtztraminer, Muller-Thurgau, Semillon, Pinot Blanc, Sylvaner and Chardonnay. It has a lush tropical yet crisp finish, and some flintiness. Taste is of dried fruits, like apricot. 12 percent alcohol. $15/glass. CMS 2009 from Hedges, Columbia Valley, Washington. This 2009 red blend is 39% Cabernet, 45% Merlot and 15% Syrah. “So much fun!” he said. 13.5 percent alcohol. $12/glass, $34/bottle. 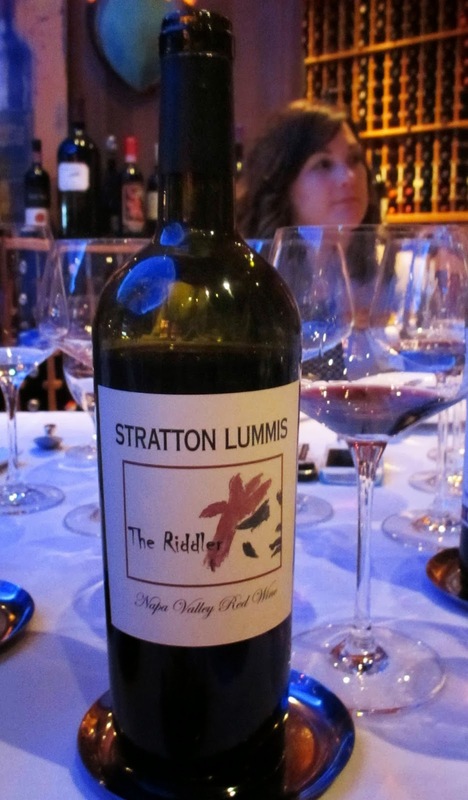 Stratton Lummis, The Riddler Lot 3, a Napa Valley Red Wine. It has a Tempranillo base (Sierra Foothills fruit), some Zinfandel, some Petite Syrah. The blend changes every year. The flavor and aroma is of dark fruit. 15.2 percent alcohol . $15/glass. 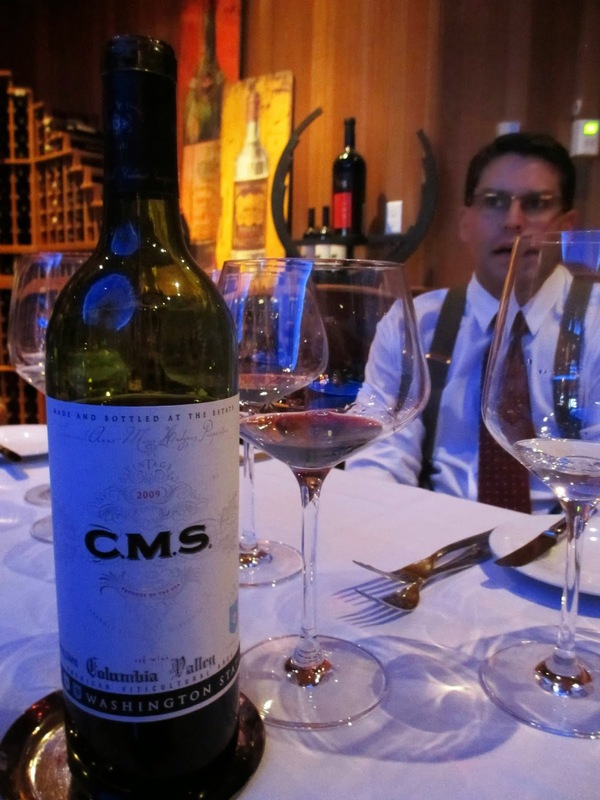 “This is an excellent wine to demonstrate the 21st Century palate,” says Christian. The Atlantis Casino Resort Hotel is located at 3800 S. Virginia Street, Reno, NV 89502. Telephone (775) 824-4430.